The fascinating real person is Larry Walters, the man who famously flew in a lawn chair attached to helium balloons (the things people do, right?). But the play isn't about Larry (who was unmarried and eventually shot himself in the heart in the middle of a forest). The play is about Walter, a fictional man who accomplished the same crazy feat, and has been trying to reach those heights ever since. He's a dreamer who is trying to fit into the life of husband and father. His wife Helen wants him to look for a job, but he only looks for "opportunities," leaving her working as a mail carrier to support the family and dreaming of her pension. Teenager Mikey hates school (what teenager doesn't?) until he meets and forms a friendship with unapologetically pregnant Maria. He beings to work for Maria's aunt in a suspicious business, to be the provider his dad cannot be. When things go bad with Mikey's endeavor, and Walter's desperate act, the family's life comes crashing down around them. There is no star in this ensemble, they're all wonderful. John Middleton is so believable and somehow sympathetic as Walter, who loves his family but can't stop dreaming. Shanan Custer has the ability to be funny and heart-breaking at the same time, and does so to great effect here as Helen, who knew who she married but is exhausted from being the only adult in the family for so many years. Young actors Keegan Robinson (who's been in many shows at the Children's Theatre) and Lillie Horton (who wowed in another Pro Rata show two years ago) are both such wonderfully natural and present actors, and they talk and act like real teenagers (because, you know, they are). 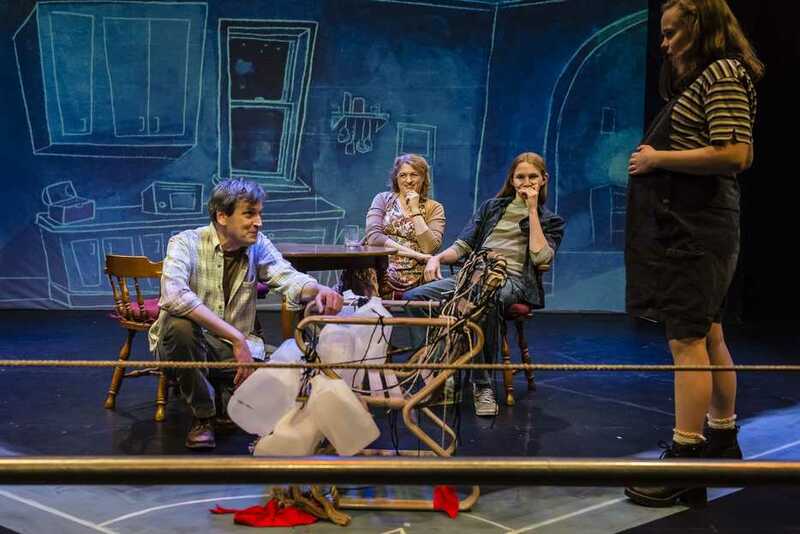 Noë Tallen plays two supportive mother figures, and I couldn't take my eyes off Mark Benzel as the hallucination of Philippe Petit he built and walked across a tightrope onstage. The only set decoration are projections of charming and whimsical drawings of the two family homes, the school, and other locations. They appear on the backdrop as if drawn by a magic hand. In fact the whole show has an air of magic, with the inclusion of Philippe, and the way that sometimes two different scenes play out at the same time. 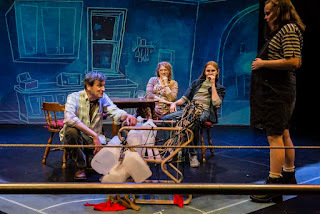 Yet the play is also grounded in the reality of true and relatable human struggles. Like I said, all the feels. 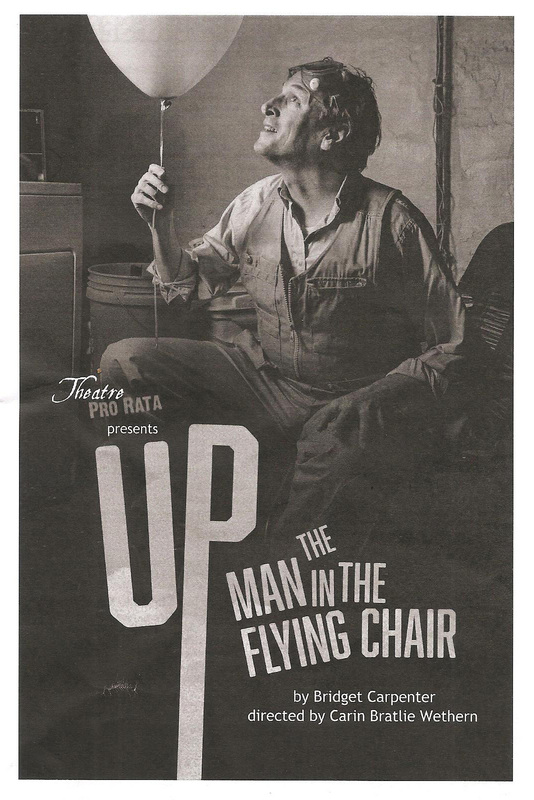 Up: The Man in the Flying Chair continues at Park Square through June 11.